WORLD CRUISERS WANTED I NEVER THOUGHT THE SELLER WOULD GO THIS LOW... BRING ALL OFFERS... MUST BE SOLD NOW!!! SHE SHOWS LIKE NEW!! "Jennie" was designed by the famed Kasten Marine and is the epitome of proper steel yacht design. She is laid out and equipped for world voyaging on any ocean in any conditions. She isNOT a docksider with intracoastal ambitions! She IS available at 29% of her build cost and has exceptionally light use!! "Jennie" carries all the essential attributes of a WORLD CLASS YACHT... strength, safety, seakindlyness, performance, comfort, style and grace. 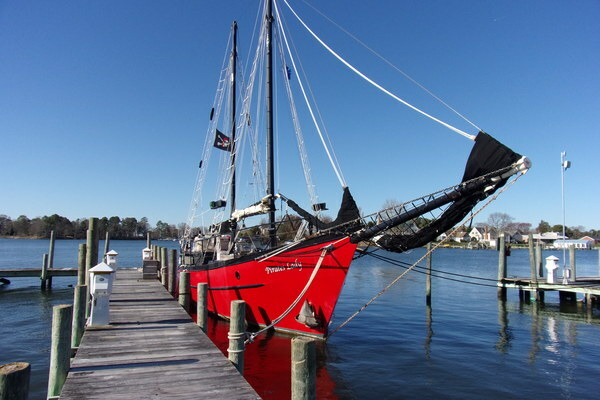 "Jennie" can easily be certified for CHARTER WORK and would be PERFECT for Resort "RUM CRUISES"
United Yacht Sales New Jersey would love to guide you through a personal showing of this 58' Kasten-bos & Carr Steel Schooner 2002. 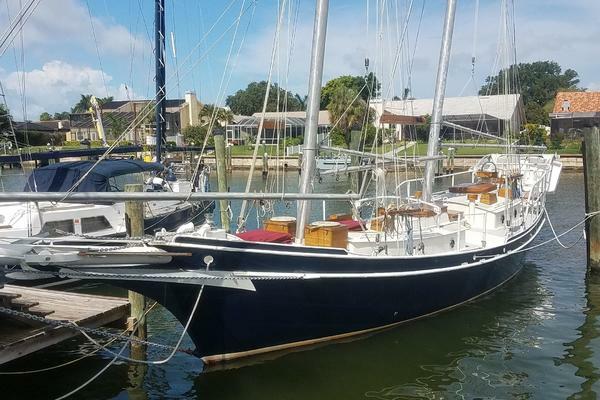 This yacht for sale is located in Palmetto, Florida and priced at $229,000. For a showing please contact us by filling out the form on this page and we will get back to you shortly! See "Additional Media" at the bottom of this page for further details!Jennie has a lovely and highly functional forward living area, galley area, nav station and two quarterberths making her the ultimate couple's bluewater cruiser (but she will sleep 4) ...with CLASS! Beginning forward below, the Fo'c's'l can be entered via a watertight access hatch in the exterior foredeck. The Fo'c's'l is used for anchor storage fed by spurling pipes directly from the foredeck windlass. Aft of the Fo'c's'l is the saloon, containing a settee berth to port and to starboard of a central folding table, allowing standing headroom between the settee berths. Aft of the galley to port is a large hanging locker/bureau. Aft of the galley to starboard is the head/shower compartment containing a vanity with sink, and a marine toilet. Inboard of the head is a companionway ladder leading up to the midship deck. To port of the companionway ladder is a door providing access to the engine room. Aft Cabin Aft of the engine room is the Captain's cabin, accessed via a separate companionway and ladder directly from the aft deck. Facing the ladder there is a very large navigation area with extensive electronics and a large chart table. Single berths are located to both port and starboard of the navigation station. European beechwood woodwork throughout and large dry goods storage area below the cabin sole. Aft of the saloon is the galley. The galley contains a three burner propane range with oven, a top loading refrigerator compartment and a large sink. To port in the galley is a full length counter top at 36" height, that can double as a desk. Water tanks are located below the counters in the galley to port and starboard. Being a true bluewater boat, "Jennie" is equipped with top of the line electronics that make navigation a much less daunting task. With the Furuno Radar and C-Map Chart Recorder System (GPS cards for North Island New Zealand, the Caribbean, Bahamas, and the USA Coast from Florida to Chesapeake Bay) she is more than ready to take you on your next adventure. The schooner rig is designed for efficiency whether on or off the wind, and to provide several well balanced and easily handled sail combinations. The masts are raked aft substantially, in order to keep the boom ends out of the water as the boat rolls at sea. The rake allows the foremast halyard to be positioned above the forward cabin top, and the main halyard above the aft cabin for ease of loading a skiff or other gear on deck. Spars Masts are sleeved and jointed and are fully sealed water tight by welding at the top and bottom. The masts are keel stepped. The outer ends of the booms and gaffs are capped with weld-caps. Mast tops are tapered using facets of flat plate. The gooseneck fittings are fabricated out of aluminum plate, heavy wall aluminum tubing, and type 316 stainless rod. Goosenecks are welded to the masts and reefing gear has been fabricated out of aluminum and welded to the booms. Standing Rigging The designer thought it best to make use of wire stops/grommets, soft eyes, rope stops, and other soft connections as opposed to fabricating complex hardware fittings that would be difficult to replace over the course of vessel maintenance. The bowsprit has been rigged with chain. The main mast is supported by a pair of shrouds on each side. The foremast is supported by a forestay as well as a pair of shrouds on either side. All standing rigging is comprised of galvanized stainless steel wire. Hull was constructed in 2002. Boat completed 2005.